Camp Massachusetts had the chance to speak with Lisa about camping at Country Aire Campground, the great white water rafting in the area and what the campground is like. Read below for some great insights in to the area. Where is Country Aire Campground located? 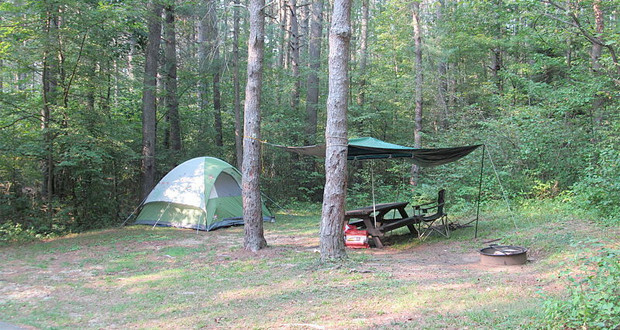 Country Aire Campground is located on the historical Mohawk trial which is one of the oldest designated tourist and scenic routes in the country. Its origins trace to the glacial age, the native people of this region made foot paths in this area to travel to different parts of New England. This trail is near the Deerfield River which is a hard working river with many hydro electric dams on it. The campground is near the town of Shelburne Falls which is actually two towns meeting at the rivers edge connected by two bridges. The iron bridge and the Bridge of Flowers. The bridge of flowers was an old trolley bridge converted by the Women’s club when the trolleys stopped running into a garden of blooming profusion of flowers from spring until fall. While the dams provide electricity for the region they also provide the rapids for the 3 White River Rafting companies that are located in the town of Charlemont. Trout fishing is also a big draw to the area with the local wildlife and fishing dept. stocking the river 2 times a year. Tubing down the river with your family and friends on a hot summer weekend is a great way to cool down. There is never a shortage of options for the adventurous folk. There are Two zip lines and one of the local white water outfitters which teach kayaking, they also teaches rock climbing and mountain biking. The campground is a family friendly campground with 21 primitive wooded tent sites and 5 water and electric wooded tenting sites. Camping clubs enjoy our safari field, and we are big rig friendly with about 46 pull though sites. There are 3 full service cabins for rent, (sorry no pets or smoking permitted in cabins). Otherwise we are pet friendly, with a breed restriction of Rottweiler and Pit Bull dogs, only 2 per site. We have planned activates on holiday weekends as most people are out and about with the activities that brought them here. The campground gets very busy from mid June until after labor day with most people here for the river sports and site seeing the local area, we are only 20 minutes from Yankee candle. The campground sits in the middle of many annual festivals that take place in Massachusetts.